It will work on AT&T, Verizon, and T-Mobile and will support one-number solutions (so that your phone number remains the same) for all carriers and LTE models. Pricing and availability are up to the cell operators to decide and announce, but I'd guess it to be about $399 to keep it in line with the LTE Frontier. And that's about it. There's not much else new here, but if you want to read what Ryan thought about the Gear S3, check out his review here. You can also find the full press release below, if you're interested. 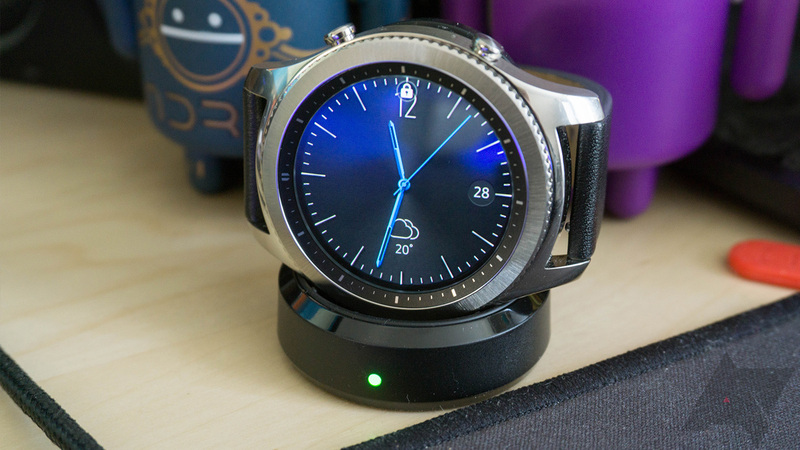 RIDGEFIELD PARK, N.J.--(BUSINESS WIRE)--Samsung Electronics America, Inc. today announced 4G LTE availability of the Gear S3 classic, bringing enhanced LTE connectivity to the elegant and stylish smartwatch so users can call, navigate, pay, and more, all without their phone. The LTE version of the Gear S3 classic will be available from AT&T, T-Mobile and Verizon. The launch of this new classic model gives LTE shoppers the choice between the bold, modern Gear S3 frontier or the refined, traditional Gear S3 classic. The classic model was designed meticulously to attain the same consistency and balance of a well-crafted luxury watch and features the minimal, yet elegant style of many iconic timepieces. With a full-color, Always On Display, the Gear S3 classic tells time at a glance just like a traditional watch. Despite the elegant design, the Gear S3 classic maintains the same rugged, military-grade durability and IP68 water resistance found on other Gear S3 devices. The LTE version of the Gear S3 classic will empower users to enhance their smartwatch experience with the ability to receive and reply to calls, texts, and alerts from their favorite applications1. Additionally, with one number solutions (available on all LTE models and U.S. carriers), calls from your Samsung smartwatch share the same number as your smartphone, making it easy for friends & family to recognize. By utilizing the built-in GPS functionality consumers can also track their daily fitness activities, while the Alti/barometer and Speedometer allow users to track everything from distance traveled to sudden changes in weather. Samsung also built additional functionality in the already popular rotating bezel. With just one turn of the bezel, users can answer or reject calls, read messages and access the apps they need. By writing or drawing on the display, messages can automatically convert to texts and emojis. Users can also create short reminders and to-do lists to manage even the most hectic schedules with the Reminders application. Samsung Pay for the Gear S3 classic LTE delivers the enhanced security of the industry-leading Samsung Knox platform, so users can feel safe and secure knowing that their credit and debit information will remain protected. Wireless providers will share availability and pricing.